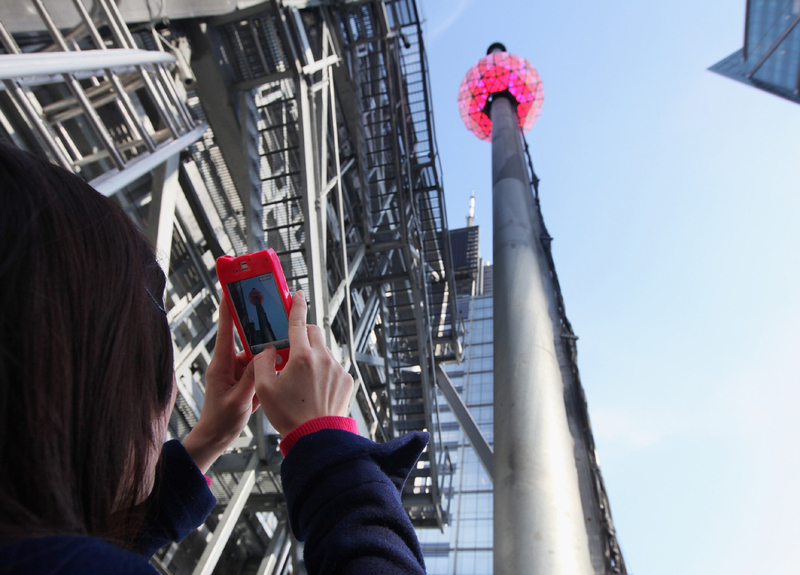 Up to a million revelers are expected to watch the ball drop in Times Square tonight, welcoming the new year. Officials say relatively warm temperatures - forecast to be in the 40s - could make the crowd size a record. CBS News correspondent Seth Doane reported on "The Early Show on Saturday Morning" that last-minute preparations were being made in the "Crossroads of the World." It was quiet Saturday morning, but there were plenty of signs that a big night was in store. Barricades have been set up. Risers were ready for performers such as Lady Gaga. Some lucky passers-by got a sort of New Year's sneak-peak earlier this week, when handfuls of confetti were tossed from skyscraper windows in an "air-worthiness" test. One ton of confetti will flutter through these streets as that famous ball drops. High above Times Square, workers made last-minute adjustments to the 12-foot-wide, nearly 12,000-pound Waterford crystal ball. It's heavier than two pickup trucks and has more than 2,500 crystal triangles bolted to its aluminum frame. Preparations were also being made across the country, from Pasadena's Rose Parade, to Georgia, where they'll ring-in the new year with a gigantic peach, and Florida, where a giant orange will mark midnight. But most of the country will be focused on Times Square. That's why thousands of New York Police Department officers, some in plain-clothes, were to be on patrol - many wearing special radiation detectors. A reminder that Times Square is a target came in the summer of 2010, when a would-be car-bomber left a truck packed with propane in the middle of the area. NYPD Commissioner Ray Kelly says he won't breathe a sigh of relief until Sunday morning, assuming all goes well.